For each of our clients we have prepared, together with our partners, numerous bonuses for additional services, which will make your business more attractive. Create an account in our Customer Panel. 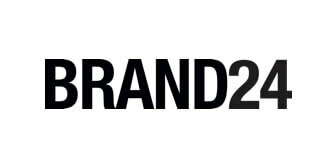 Create an account on Brand24 and start monitoring your brand. Create an account on Landingi and get customers. Buddy puts application development on autopilot and makes building apps scalable, creating a decentralized DevOps Marketplace and Automation Grid that challenges how today’s developers build, test & deploy their apps. Our vision is to become the backbone on which talented people can build world-altering apps & services. Our goal is to take the load off millions of developers by offloading everything that can be automated – giving them back the time for being creative. Create an account on Buddy.Works and start your first deployment. Sellizer is prepared for ambitious salesmen who want to improve the sales process. Thanks to Sellizer, you know who and when opened the pdf file with the proposal and what interested him. Thanks to this, your sales activities are more effective and you have more time to search for new customers. Create a test account or enter a discount code: thecamels in the payment tab to extend the test period to 21 days.